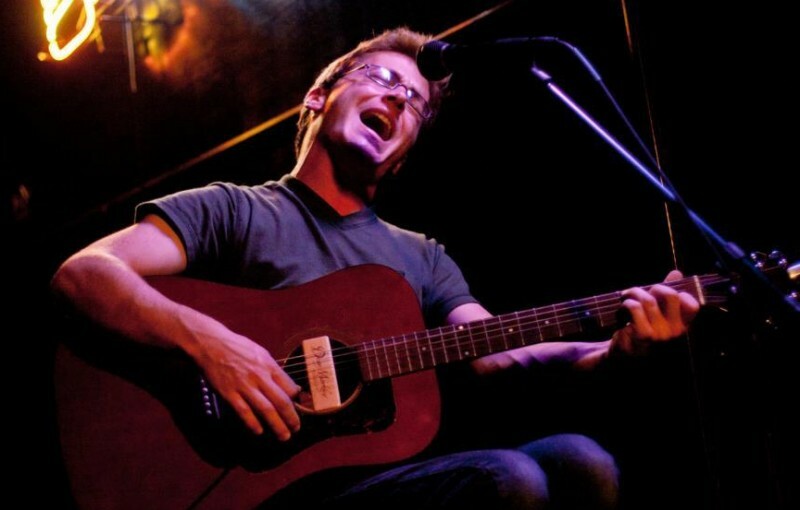 Tim Haufe is a composer and songwriter who grew up in the Hudson Valley region of New York. His music is beautiful, volatile, soulful, dynamic, and full of hope. Haufe is a 2011 graduate of the Castleton University Music Department. He is a prolific writer, having produced 8 studio albums starting with his debut release Lovesick Melodies in 2006. His latest release, What Came Next, Tim Haufe with Strings, has received critical acclaim. What Came Next is a marked departure from his previous work, presenting his songs in a new musical framework through the utilization of a non-traditional string quartet as his backing group. You will hear original songs of a notable variety, with meticulously constructed string arrangements composed for violin, two 'cellos, and bass. Haufe will accompany his string quartet with his acoustic guitar. Tim Haufe currently lives in Washington Heights in New York City, where he works, teaches, and performs, striving to establish for his music the grand reputation that it deserves.